Reference USB, the flagship USB cable representing the pinnacle of musical performance with a specially designed compact Micro-B plug. 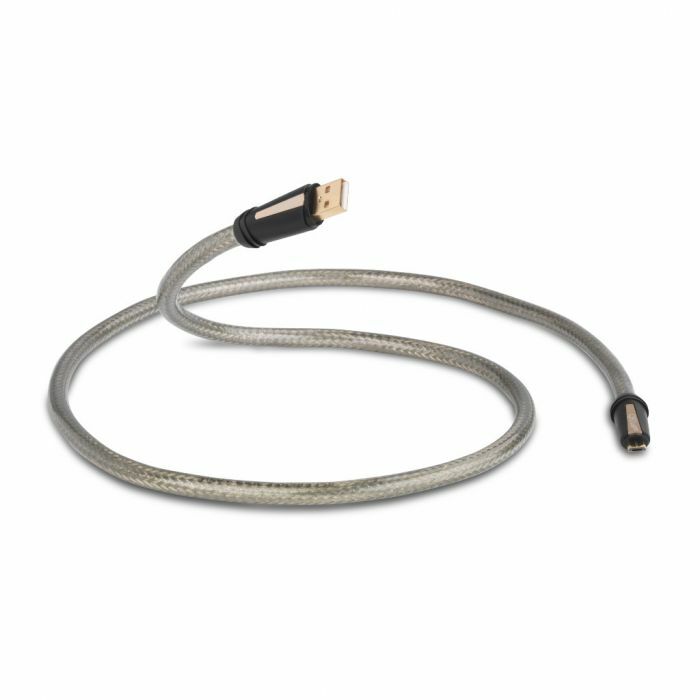 Reference USB cable is designed to transmit high definition digital naudio between USB audio components (such as a computer or storage devicen and a high performance DAC) with ultra low jitter. It utilises a carefully engineered geometry including an integral Ferrite jacket, electrically isolated power conductors and an impedance controlled data lane to reduce timing errors within the digital signal, for cleaner audio transmission. For A-Micro B, a specially designed Micro-B plug is used to ensure an easy connection with portable DAC's and headphone amps where adapters that degrade quality may otherwise be required.